Not content with opening their 'Royal Parlour' pop-up in SE23, Little Nan's Bar has also opened the pop up bar Deptford Esquire at 29 Deptford High Street, SE8, with Masala Wala, as a winter extension of their regular curry nights at their main bar. Deptford Esquire is open on Friday and Saturday nights only, 5pm - 11pm, for craft beers, cocktails, and a menu of Asian small plates. I haven't been yet, but those who have loved it! "Deptford Esquire will be a Pop Up Micro Pub & Restaurant, where Lahore meets London feat Craft Beers & Curry with Cocktails and Small plates on the side. 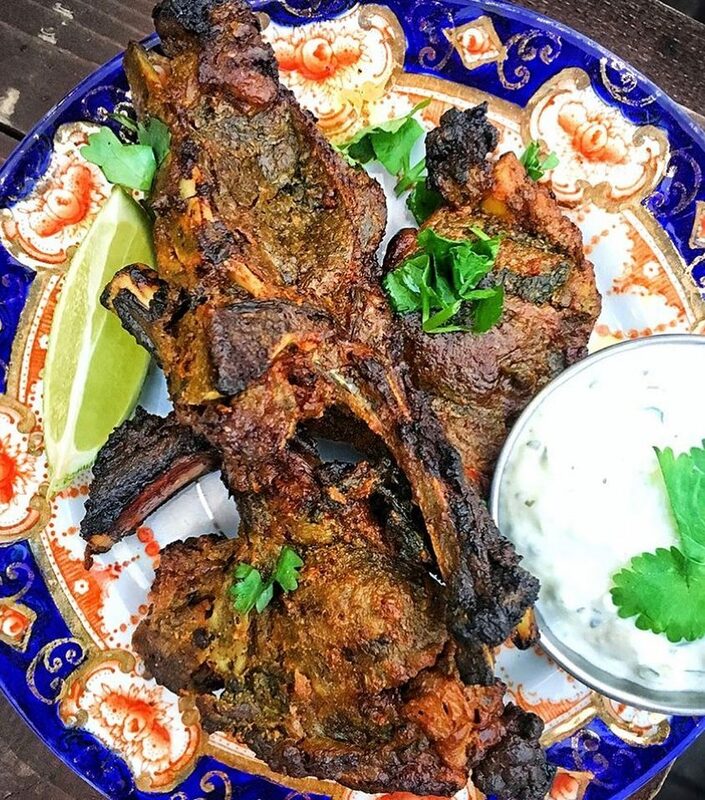 Every Monday starting from January this year, Little Nan's bar hosts Masala Mondays within their Deptford Arches. Guests have been spoilt silly with Home Cooked Curry from family business , multi award winning Masala Wala. Masala Mondays have been going so well, that we have decided to make it official and partner up to present you with Deptford Esquire, which will be located at number 29 Deptford High Street. Deptford Esquire will feature a food menu of Asian influenced sharing and small plates along with a fully stocked bar with draft pints, wines, cocktails and mocktails. Plus, Curry & a Pint will be dished out!"